Daraz Announces 11.11 – World’s Biggest Sale Day . Leading e-commerce company, Daraz, is bringing 11.11, the ‘World’s Biggest Sale Day’, to Pakistan for the first time. The one-day sale is sponsored by Unilever, L’Oreal, P&G, Nestle, Mi, and PEL – as well as HBL as our financial main partner. The first mega event since the launch of the new Daraz App, customers can expect a truly personalized and supercharged lineup of activities. Daraz 11.11 is a first of its kind event and is set to be a game-changer for regional e-commerce. 11.11 started in 2009, when Alibaba, Daraz’s parent-company, positioned it as Asia’s answer to Black Friday. Fast-forward 10 years and the headlining 11.11 sale is ready to make the journey to Pakistan. The one-day event posts unequaled sales numbers, four times that of Black Friday. Customers can look forward to a fully personalized shopping experience, in addition to unimaginable mega deals, flash sales, thousands of brand vouchers, mystery boxes, discounts from banks, giveaways and more. 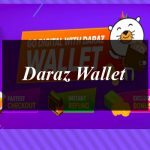 The one-day sale event on the new Daraz App will be the biggest to date for the e-commerce company. 11.11 is the numeric short-form of 11th November. On November 11th, 2018, Pakistan will greet the sale phenomenon with open arms and carts.